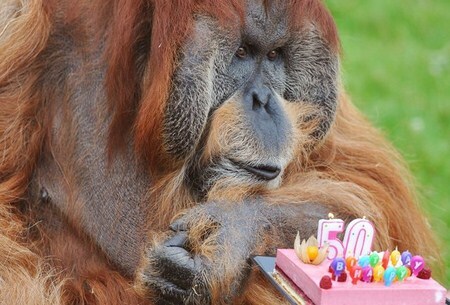 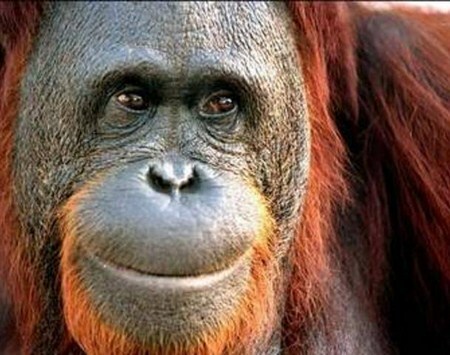 A Sumatran orangutan believed to be the oldest reproductive specimen in captivity celebrated his 50th birthday Tuesday at a zoo in western France. 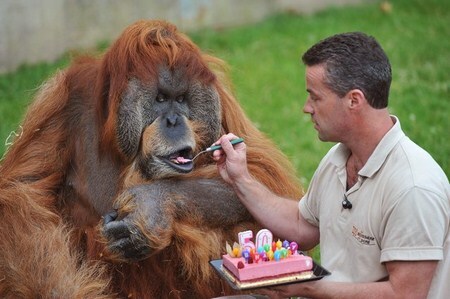 Major, a 125-kilogram ( 275-pound ) father of 16, blew out the candles on a strawberry birthday cake at the zoo in La Boissiere-du-Dore near Nantes where he has lived for more than 20 years. 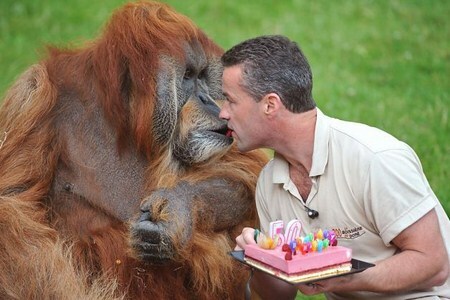 Born in 1962 in Indonesia, Major was captured seven years later and held in zoos in Germany before being transferred to France in 1989. 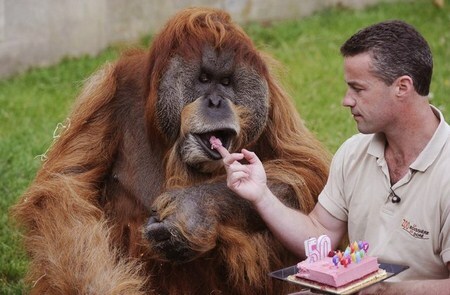 His keepers said Major, who lives at the zoo with his three female companions and four children, is especially prized for his reproductive prowess.